If you have read any of my blogs you know I am a farm girl from New Jersey. You would think growing up in the boonies of New Jersey I would have had quite a few gardens in my lifetime. I had one garden and it wasn’t even mine as I was helping someone start their garden. My green thumb was brown from the time I came out of the womb. But now FarmBot has made it so easy to grow your own luxury garden with success! My New Year’s resolution every year is to eat healthier, it never happens. Now, if I had my own garden I know I would be a lot healthier today. Basically, FarmBot is a luxury gardening robot that over time will pay for itself. 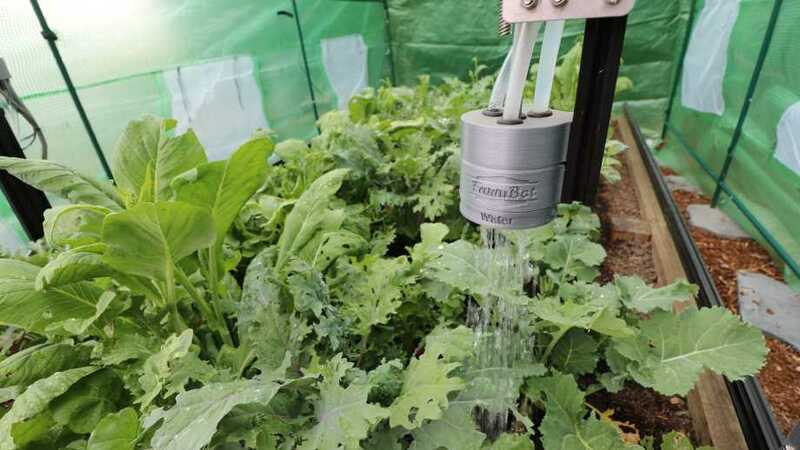 FarmBot is associated with the web, and you control it through a web application that looks like a cultivating diversion. Individuals utilizing the item simply simplified plants onto the advanced garden where they might want them. The bot spaces those in suitable interim, so you don’t need to stress over doing as such yourself.Just envision having every one of the vegetables you adore readily available with this luxury toy. I know “toy” is not the correct word but what fun you will have watching your vegetables grow without much effort at all! 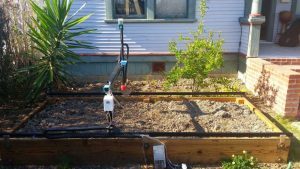 So now there are no excuses get healthy have a luxury garden with a FarmBot!